The commercial AV integration industry has historically focused on project-oriented business. The rise of tech-enabled work-spaces that demand more IT-centric services combined with unified communications and the impact of collaboration on the industry are forcing traditional integrators to look for more ways to help their customers adapt to how workplaces have changed and continue to change. The rapid evolution of technology is changing the industry. Customers prefer to have single-source systems integrator providers. Integrators are rethinking what their products and services mean to customers, and creating more value in what they offer customers. Being able to provide a diverse array of products and services is becoming more valuable. Today, a display is a display, but when you add a mount, media players, switcher, distribution amplifier, etc. to the mix, you have a total solution. What customers need is someone who can install it for them properly then maintain and monitor the gear once it’s in to make sure they’re getting the best return on their investment. In order for firms to succeed they are getting big. Slowly but surely, consolidation has led to a new reality in which the typical integration firm is larger than it was a few years ago. From an overall perspective, the Pro-AV industry has evolved in somewhat of a traditional sense from local, to regional, national and, most recently, global in scale and scope. This characterizes a trend, but does not mean that the local and regional companies will go out of business. There’s a place for both large and small firms, which can co-exist and bring different strengths to the table. Some larger multi-national and multi-location companies can’t work closely with customers on remote projects and aren’t able to maintain a high level of oversight. Large companies tend to struggle to fill particular niche portions of their regional area – small projects go under the radar. Global Expansion is not easy. Some challenges include currency, language, workflow and the availability of the technology. Some firms underestimate what’s involved and stretch their resources to the point of being unable to deliver. A lot of firms grow so fast that they start to lose quality and service/support. When a systems integrator bids on a large project, they take a fair amount of risk. Large integrators are built to handle that risk. The rapid rate of technological and digital advance is the biggest challenge for global businesses. The pace of technology and the rate at which it is getting updated can cause products to get outdated. Some products stored for a long time can lose warranty, get recalled or discontinued. The relationship with manufacturers could be complex — sometimes they are partners and other times competitors. Finding quality companies firms can vet and bring into the network could be a challenge. Among other issues are quality assurance and standardization, organizational structures, corporate cultures and relationships with vendors. When investors determine the value of the business, they look at three things: predictability, profitability and diversity. To increase their value and grow, large companies are expanding their service bundle, and position themselves as a helpful advisor who teaches customers how to use technology and reach their business goals. Developing a culture that brings in people who have passion and are eager to learn may not immediately boost bottom line. Firms owned by investment companies need to deliver products and services at high level of profitability. Too many investors are short-term-focused. That forces you to make tradeoffs that aren’t necessarily in the long-term best interests of the company. Small companies get opportunities with projects the mega-integrators stopped doing, because they are focused on bigger jobs. There are huge opportunities for integrators to grow and become successful in various niche areas. Seasonal fluctuations in business depend on the sectors covered by an integration company. For example, Integrators that work with live events companies have slow months in the summer. The opposite can be said of those who work in education, as schools close for the summer AV upgrades and new builds get done as the classrooms are mostly empty. Typical competitor is bigger, that means they have more buying power and can compete on price better. These days, competitors come not only from the AV integration design world, but also IT, security, and even from other industries. For many companies, their success is based on having struck the right balance. They have the right amount of employees that allows them to be efficient without becoming overwhelmed. Small organization have less capital for growth. To survive, companies need to be great at one or two things and stay focused on them. With less cash flow it’s difficult to pursue big ideas and big projects, and it’s more challenging for smaller firms to get the attention of manufacturers. Many companies get themselves in trouble because they do not manage cash flow correctly accepting projects that tie up all available cash for a long period of time. In some cases, end-users can push payment terms beyond 90 days. A project that lasts 6 months may tie up company cash for nine months if A/V integrator will actually get paid on time. In our technological time things tend to appear simple on the surface. What clients think they want is usually different from what they really need. Unfortunately the decision all too often simply comes down to price. Customers order online, then have problems if product doesn’t work as advertised, doesn’t fit and doesn’t work with existing systems and networks. Systems evaluation at customer site allows to provide problem identification, problem solving, offering specific solutions to problems, and integrating/installing systems that work as they are designed. 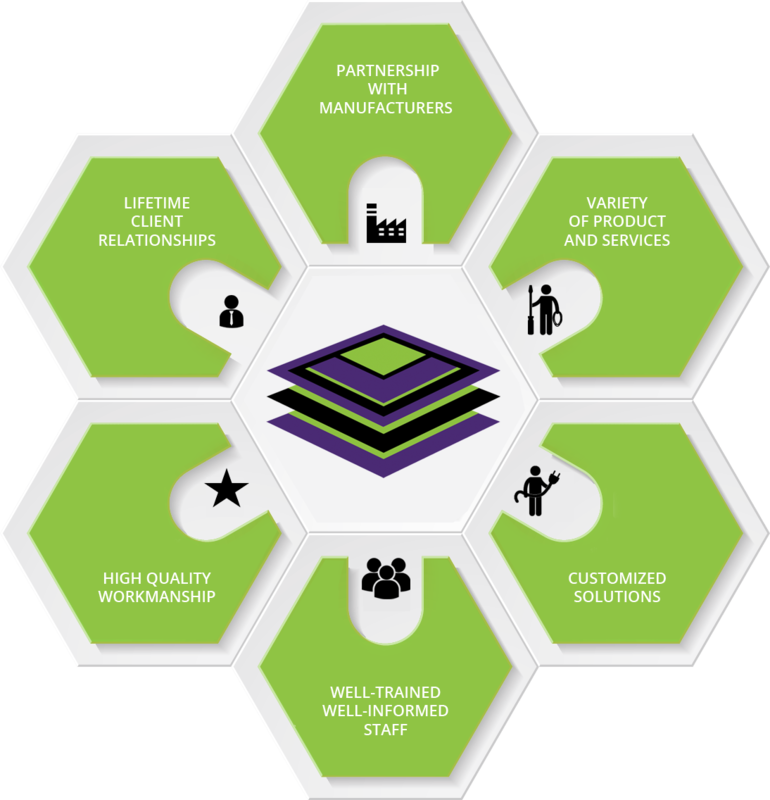 If Integrator provided excellent customer service coupled with strong technical expertise and rigorous project management, clients would generally return for their next project. People do business with those they know, like and trust. Small business owners give customers the best deal they can on products and services, but also take time to build relationships, and deliver consistent and quality service over the long haul. Small businesses often struggle with culture. Leaders wear many hats, benefits are hard to come by, and talent management takes a back seat.